Wanna know how you can get the best results if you’re thinking about starting an exercise programme, diet or both? You might be a dab hand at google and an expert on youtube when it comes to finding out about fitness and nutrition, how do you know it’s right for you? Getting a coach is the quickest and most effective way to get results, they are the expert in exercise and nutrition and can teach you skills for life, if you’re willing to learn? A coach can’t do the work for you, their job isn’t about smashing you in the gym so you can’t walk the next day. Your coach helps you to learn and do more of the stuff you don’t like doing (thats the stuff you need btw). Trust the coach and follow the advice, you’re not supposed to like everything (to start) and it’s gonna be uncomfortable, difficult and you will be sore. Being around like minded people who are all pushing in the same direction helps to keep you motivated and accelerates your results. As opposed to being surrounded by those who cant wait to see you fail. If you’re goal is to loose weight I’m gonna take a guess and say that the weight you put on didn’t happen overnight? So why do you expect the results to happen overnight? It’s more than likely gonna take you a lot longer than you expect to get the results you want, that doesn’t mean you shouldn’t bother trying. Time will pass anyway, you may as well be realistic and that way you won’t be disappointed when you don’t lose a stone before your holiday next week. 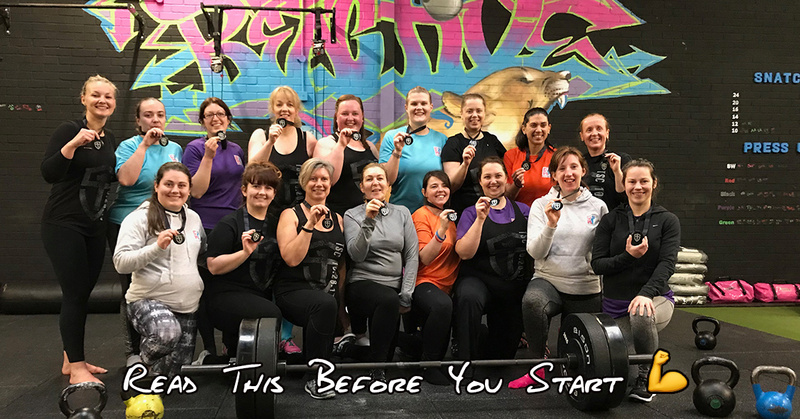 If you start as you mean to go on and accept that lifetime results equal a permanent lifestyle change then you can avoid setting yourself up to fail by setting realistic goals. Start with showing up, rather than worrying about all the technical stuff and best exercises, diets etc just focus on actually showing up and doing the work consistently. Honestly it doesn’t really matter much what you do to start, everything will work initially. Focus on showing up to the gym at least x3 each week and nail your exercise. Be relentless in staying active and averaging 10k steps every day (stop making excuses about having no time and a desk job). Focus on the learning and mastery rather than just surviving the gym and making it to the weekend with your diet. Focus on your technique to improve your exercise vocabulary and build the foundations for whats to come. Learn about calories and creating a calorie deficit which will create freedom around your food choices rather than being married to a diet, which you hope works this time. Know that your going to make mistakes and that it’s all part of the learning process, and be kind to yourself when you do. Thats pretty much the basics to consider before you even get started, wanna know my tips for when you get started? Or how I lost over stone in just 6 weeks? Yes, I consent to receiving direct marketing from Reactive Training.